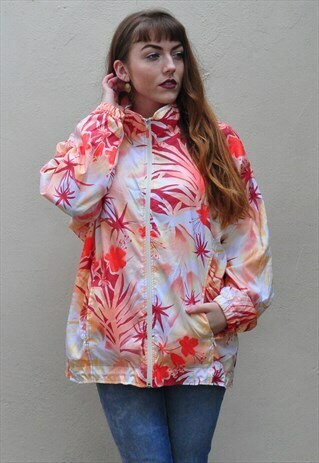 An awesome windbreaker in a funky abstract print. A great lightweight jacket which would fit up to a size UK14. Model is a size UK8 and is 5'5" tall. This item is vintage and therefore one of a kind. Although in good vintage condition please expect some natural wear/age. If you love Club Vintage, follow us here on ASOS to keep updated with all our latest stock drops!